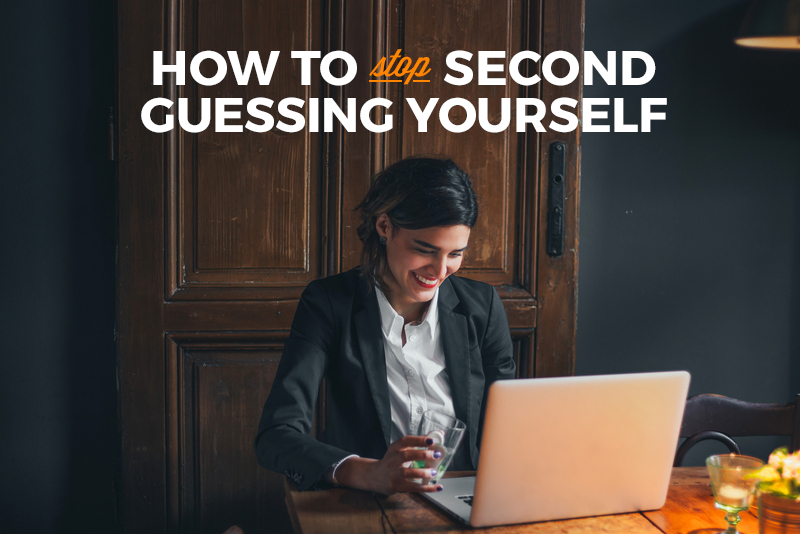 Learn how to stop second-guessing yourself immediately with this free checklist. Your neck feels hot and prickly. You shrink back in your seat and hope no one will look at you. You cross your arms and ankles and look down at the floor as a feeling of terror washes over you – What if everyone finds out the TRUTH? What if they finally realize I don’t know what I’m doing?? Have you ever been in a scenario like that? Maybe a tech meetup, a class, or even a client meeting? Do you feel like you are constantly second guessing yourself? Like you’re never fully prepared? And do you ever wonder if you could possibly be qualified for that dream job description you just found? Sounds like you are suffering from imposter syndrome. And guess what…we all are. 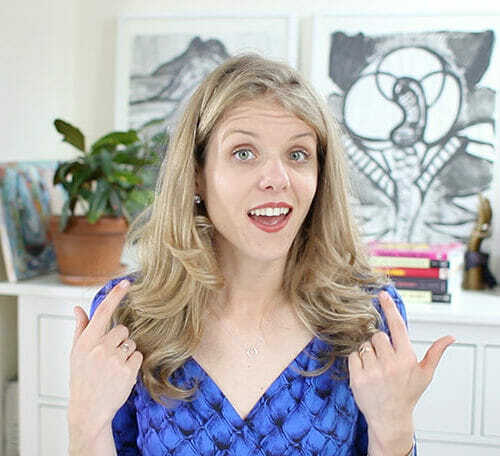 So…what exactly is imposter syndrome? According to Rebecca Miller-Webster, who runs an annual conference to tackle imposter syndrome for high-achieving women, it is the phenomenon in which, despite external evidence of their competence, people remain convinced that they do not deserve the success that they have achieved. In short: it’s feeling like you’re just not good enough, even when all signs show that you are. In the tech world, imposter syndrome can appear as that sinking feeling in your stomach when someone asks to see your code and you think the truth will finally come out – that you’re no good at coding! It’s when social proof (like recommendations, testimonials, and public support for your work) don’t do much to convince you that you are skilled and that you produce valuable work. Imposter syndrome is chronic self-doubt, and it’s an epidemic. Imposter syndrome crops up in the media as a condition that disproportionately affects women and minorities, and while the feeling of being not good enough can affect ANYONE, women in tech are in a uniquely vulnerable position. With articles coming out every day about (1) how there aren’t enough women in tech and (2) how difficult tech jobs are, it’s no wonder that when women land tech jobs, they STILL feel inadequate. keep you from taking risks, and we know that the best coders are the ones who are okay with failing. stop you from sharing your accomplishments with others and prevent you from becoming a thought leader or industry expert. discourage you from ever going for the jobs that could change your life. keep you from getting the pay you deserve. paralyze you and prevent you from taking positive action to change your future. Imposter syndrome can undermine all the work you do to learn to code, by keeping you from learning new skills, growing in a tech community, taking risks, and landing jobs. That’s a pretty expensive habit of self-doubt. And to make matters more confusing, imposter syndrome is particularly common in people who are high achievers. So, you’re telling me that the more I work at learning new skills, the more likely I am to continue believing I’m not good enough?? It’s possible. But luckily, there’s a cure. I talked to 4 women who transformed their lives by learning to code, and I got their takes on exactly how to tell when you’re suffering from imposter syndrome and what to do about it. These coders are working to conquer negative thinking and thrive in the tech world… and so can you. Background: Sarah designed and built her first website 14 years ago. Shortly after, she put aside her work to take on the challenge of homeschooling her four brilliant children. How she learned to code: Recently, Sarah decided to rekindle her love of learning and is taking on web development projects that inspire and excite her. She jumpstarted her career by enrolling in and completing the Skillcrush Web Developer Blueprint. Background: Lauren earned a creative writing degree in poetry. Background: Shannon got her undergraduate degree from San Francisco State, worked in a non-technical role at Lyft in San Francisco, attended a Women Who Code event and fell in love with programming. How she learned to code: Shannon’s coding story began when she snuck into a tech party during the formative stage of her first company. After being urged by the engineers at the event, she fell in love at first program. She attended Hackbright developer bootcamp. Current role: Shannon recently left her full stack engineering position at Scripps Network Interactive to work on fixing the Dave to girl ratio with Women Who Code. 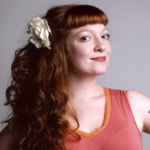 Other projects: Shannon is a developer, speaker and social justice advocate. In her efforts to fight the gender inequity in tech, she founded Hacking for Women, the first forward-funded scholarship program for women in coding. An expert impostor, Shannon recently returned to SF after traveling around Europe speaking about impostor syndrome and making the career change to tech. She’s also an artist, singer, and mentor to many aspiring coders in the Bay Area. Background: Siena earned a degree in English and East Asian Studies from Oberlin College. 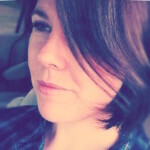 Current role: Software Engineer at Indiegogo, where she has shipped iOS and Android apps and works on their Rails stack. What is a sign that you have imposter syndrome? The feeling that no matter how far you’ve come and how much you’ve learned, eventually everyone will realize that what you know is too small to be significant or relevant. You find yourself saying what you can’t do before you even try. You cannot accept your successes as things that you earned, but instead write them off as being flukes. You think other people are just being “tricked” into thinking you’re a good programmer. Really, a lot of the symptoms are rooted in the idea that even the solid evidence of what you can do is somehow invalid. And it can feel really, really real. If you ask yourself “are these thoughts just imposter syndrome?” and immediately respond with “of course they aren’t—I’m really NOT good enough”, that’s a surefire sign you’re in deep! Second guessing your solutions/ideas/suggestions even when you know they are right. Being afraid to challenge someone who has more experience than you. Having anxiety or fear of being fired, whether or not you think you deserve it. Feeling unable to reach out for help for fear of having your incompetence discovered. 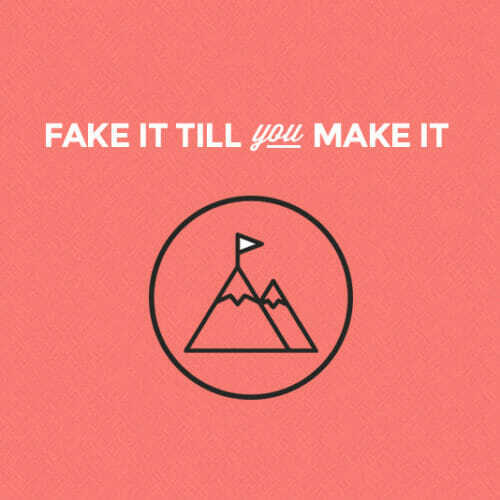 Constantly feeling like you’re not good enough, like you don’t deserve the success you’ve achieved, that it’s all been a giant fluke that you’ve gotten this far… basically if you feel like there was some force other than your merit that got you to where you are, you might have imposter syndrome. It’s a problem because it’s completely ridiculous. The minute I told people I could build websites I had several offers for work. 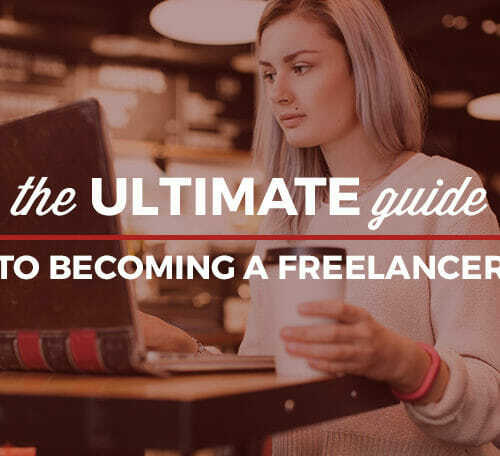 Even just a basic understanding of web design is enough to get you started. You aren’t an imposter if you are actually doing it. I think it’s particularly a problem for women and other underrepresented demographics in tech, because it compounds the negative effects of so many other things we have to navigate just in order to do our jobs. And the more these things combine, the less likely we are to apply for tech jobs, to trust ourselves as speakers on technical topics, to have a voice in the future of technology—and we’re led to believe, then, that it’s just us not trying hard enough, that it’s somehow all our fault. It’s a really gross and mostly invisible cycle that we did not opt in to, but that effects us nonetheless. It affects many people in the tech industry, and it’s not surprising considering the public’s perception of the level of difficulty related to software development. The industry doesn’t do a good job of benchmarking, due in part to the pace of innovation. Combining this ambiguity with the implicit and increasing value society places on “intelligence” it’s no wonder we are seeing increasing anxieties surrounding our abilities. When you think about how it affects what jobs people seek or what projects people pursue, it’s like navigating in thick fog not knowing how much fuel you have left. First of all, I’ve seen men suffer from imposter syndrome as well as women. I think it is a myth that imposter syndrome only happens to women, although I do think that it happens to women more often. But I will speak to the problem in terms of how it affects women in tech – I think it ties directly into the overarching narrative of women not asking for what they deserve, i.e. raises and promotions, because they think deep down that they are not actually good enough. It’s also not healthy to constantly feel like you don’t deserve your success – you do! And you should own it. Have you ever suffered from imposter syndrome? How so? Absolutely. For me, it strikes when I see the work of successful web developers or when a client doesn’t call me back. When I have a major accomplishment there is sometimes a nagging voice reminding me that I’m old and way behind. The worst is when I learn something new and realize that I haven’t been doing that in my previous projects. I feel embarrassed that my work is out there and not as good as I now know it could be. Oh yeah. I don’t know many people who haven’t suffered from it. Which is ridiculous! Because I’m sure a lot of the people I’m looking at thinking they’re so ahead of me are thinking the same thing. Basically, you can’t do everything. And there is so much out there in the dev world that even if you devoted all of your time to it you couldn’t even do most of everything. And especially with Twitter and Facebook and Meetup and, well, the entirety of the internet, we are all constantly hearing about people doing these amazing things. And of course we compare ourselves! That absolutely feeds into imposter syndrome, 100%. Everyday. I have “faked” my way into most of my professional life, including coding. One example is the day I was accepted into Hackbright. Their acceptance rate was lower than Harvard’s at the time and I was convinced they had sent the acceptance email to the wrong person or that I was dreaming. Despite the 10 months I had been studying, hacking, and networking I still was convinced I wasn’t qualified. Personally, I have never suffered from imposter syndrome. I felt (and continue to feel) very confident about my technical skills, although even for someone like me, I felt slightly overwhelmed when I was hired for my first software engineering job. There was so much I didn’t know it felt like I was completely starting over. But of course, I wasn’t–the technologies I had learned at Hackbright might not have been directly applicable to programming for iOS, but a lot of the concepts were the same. I had a solid foundation, drive, and a hunger to keep learning, and that’s part of the reason why I was hired. When things bother me, I try to learn about them. A quick Google search shows me that what I feel is normal and that I am not alone. I also share, talk about, and take pride in my accomplishments. 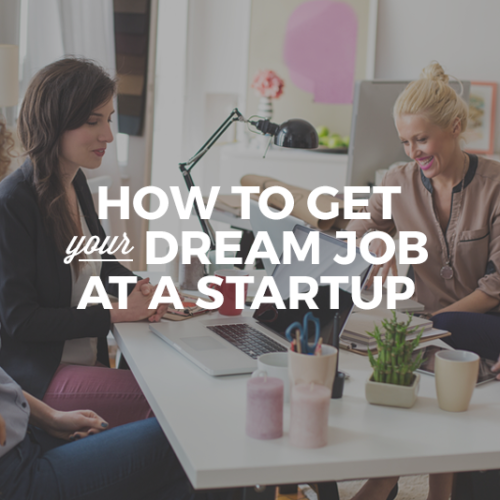 Many of my friends are also pursuing new careers and they feel these same things. It’s not limited to the tech field. None of us are imposters and we all support each other as we learn. To say I’m over it would be a gross overstatement. But I’m a lot better at squashing those feelings down these days! One of the most reassuring things you can know is that everybody feels this way sometimes. There are so many people whom I look up to and feel encompass everything I could ever hope to be as a developer who have straight up told me that they feel like they don’t know anything. And I find myself thinking, hold on, if they can feel like this—if someone can know that much and still doubt themselves—the feeling can’t mean anything. It becomes less like a personal failing and more like a normal biological function. You have to see through it so that you can overcome the scare and move on! That being said, I don’t think you’re ever really “over” it—you just learn how to deal with it. I recently went to a < Write / Speak / Code > workshop where a huge room full of women developers discussed our imposter syndrome with each other. There’s a point in the workshop where they have you introduce yourself to the person next to you without using any uncertain, self-doubting language (eg: “I’ve been programming for two years” instead of “I’ve only been programming for two years”), and so many of us still had a hard time saying these things to each other. It helped me look for those parts of my speech and try to eradicate them. It’s that mindfulness that’s the most helpful, I think. I don’t think I’ll ever be “over it” and that’s okay. My response has been to embrace my insecurities, examine them, and work on developing empathy for myself and others. It’s also motivation for me to continually improve myself. Taking away the judgement from thoughts you have about yourself makes it easier to see your difficulties as strengths, or to make them your strengths. Self care takes continual effort. As I mentioned, I didn’t have imposter syndrome, but I did feel like I had a lot of catch-up to do once I was hired for my first software engineering position. I got through it by studying up, asking questions, and being proactive in taking on tasks by myself (we do a lot of pair programming at Indiegogo, and sometimes in can be difficult while onboarding to take some time just to yourself and make sure you understand what is going on, but I think having solo time is really important to your overall comprehension). What are your top suggestions for getting over imposter syndrome? Find a community that you trust and share what you are doing. Share your worries as well as your successes. Challenge yourself to learn more. If I’m worried that I’m not as good as another developer then I try to learn how to do what they are doing. If they can do it, so can I. Teach someone else. I happen to have four kids who love to learn. Being able to share what I know is proof positive that I am really doing it. For anyone who has the opportunity to go to a < Write / Speak / Code > workshop or conference (there’s the big one coming up in March!) or a similar event, go. If there’s nothing in your area, get some friends together and talk with each other about your experiences with imposter syndrome, and try to help each other realize what BS it is. Help each other. And sometimes just telling someone your doubts about yourself makes you realize how ridiculous they are. Unfortunately there are no easy answers to fixing imposter syndrome. To provide relief from the anxiety that can arise from imposter syndrome, I find it useful to identify experiences that make me feel especially insecure about my abilities. (ie: interviews, pair programming, asking for help when stuck, going to conferences or events) Ensuring adequate preparation for triggering scenarios can help as well as increasing the exposure you have to these triggering events. Facing the anxiety you have and consciously developing self empathy go a really long way. Having a support group, friends or coworkers to talk to about the ways you feel inadequate is especially important. When I mentioned my battle with imposter syndrome with my previous boss he shared that he too felt inadequate. Empower yourself to reject the notion that challenges like imposter syndrome are bad. I think being able to speak openly and candidly about imposter syndrome is key to getting over it. You might be surprised by how many of your colleagues and friends feel the same way, or felt that way in the past. If just reminding yourself of everything you’ve accomplished isn’t enough to make you feel better, it’s time to reach out to your support network and talk about it. As for things you can do for yourself, look at your Git commit history. Remind yourself of great ideas you’ve had and implemented. Think about all the hard work that went into learning how to program. If you weren’t capable, you wouldn’t be here, it’s as simple as that. Whichever way you slice it, imposter syndrome can do some serious damage – not just to your career and earning potential, but also to the next generation of coding newbies. Finding ways to cope with and overcome nagging self-doubts isn’t just better for you, it’s better for the entire coding community. There might not be any one “solution” to self-doubt, but there are some simple steps you can take to write self-doubt out of your daily life. 1. Give yourself the title. Look at your Twitter bio. Does it say “Aspiring Web Developer?” Why not ditch the “aspiring”? If you have developed something for the web, you are a web developer. No one will assume you mean you are an expert top of the barrel 30-years-experience web developer. Claim your title, and you’ll start to feel more and more comfortable in that new identity. 2. Start tracking your good press. Keep a folder stocked with praise, from client testimonials and notes from superiors to kind blog comments and thank you notes from friends. Look back at your paper trail of social proof when you need to reassure yourself that you are, in fact, qualified. 3. Find an opportunity to share what you know. If you know just ONE thing that someone else needs to know, you can teach them! 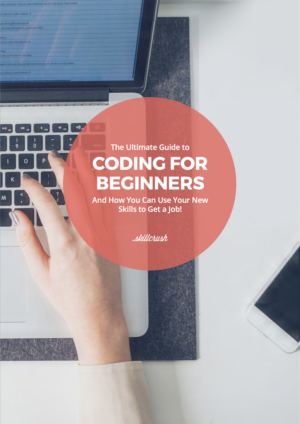 Maybe you JUST installed Ruby and your friend needs help – you can teach her how. Teaching proves to yourself that you are not an imposter, and you DO have the skills. And focusing on what you can do to help another person takes the focus off of yourself (and how great/lame you are) and allows you to learn more in the process. Once you realize that EVERYONE, no matter how accomplished she is, has dealt with self-doubt, it will be much easier for you to push it to the side and focus on your work. Find a local meetup of fellow coders or join the Skillcrush community. You probably wouldn’t say to others some of the self-deprecating things you say to yourself. Work on congratulating and encouraging other coders, and then use that same strategy when you start to have hurtful thoughts towards yourself. The next time you contribute to a group code project, submit an answer to a forum, or even interact in the Skillcrush Mightybell circle, instead of saying, “I know I’m just a beginner, but maybe…” try, “I think you should do X.” Work to get rid of those little phrases that downplay your knowledge and you’ll find yourself feeling more confident too. One of the best ways to boost confidence is to get the I-just-learned-something-new high. If you’re feeling mediocre, commit to learning a new skill TODAY, and go out and do it. Focus on something small but useful, and add it to your list of accomplishments. Visit the Skillcrush blog to learn something right now, or sign up for a Skillcrush Career Blueprint and join a learning community. And I get it, even when you do EVERYTHING you can to stop self-doubt in its tracks, imposter syndrome can creep back in. When those destructive negative thoughts DO find a way into your brain, make sure you’re prepared to fight them. 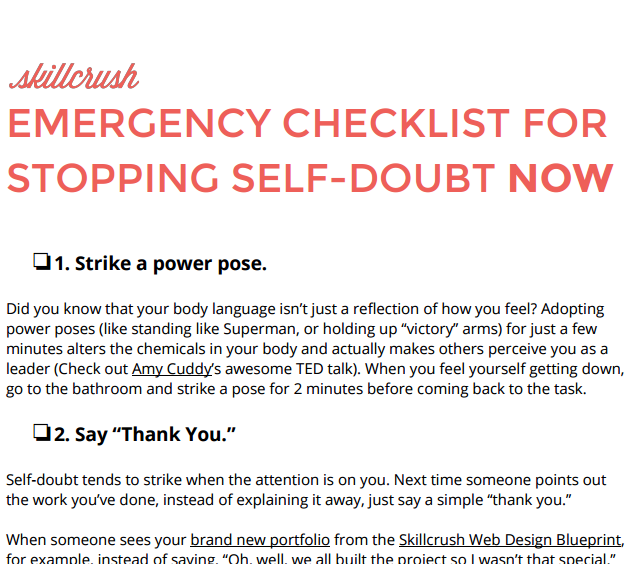 I put together a 1-page Emergency Checklist for Stopping Self-Doubt. Print it out, tape it to your desk, save it on your phone – keep it at the ready. Next time that creepy, prickly feeling strikes, you’ll be ready to redirect your thoughts and energy into more productive endeavors, like coding!